Our Tinley Park probate attorneys will guide you through every step of your probate and estate administration needs. We are proud of our expecrience, client-service and cost-effective rates. In this video, Tinley Park Probate attorney Kevin O'Flaherty describes why O'Flaherty Law is the best choice for your probate or estate administrationmatter. We Are Cost-Effective! We are proud to offer superior representation, communication and customer service. 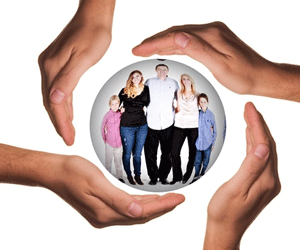 Let us be your trusted advocates to guide you through your estate planning needs. ​We Know Our Stuff! Our Tinley Park probate lawyers' dedication and hard work have earned a reputation for excellent service. Kevin O’Flaherty was honored by being named one of Suburban Life Magazine's Best Under 40. Probate cases can often require knowledge in other areas of law including business, real estate and family law. Our team of Tinley Park attorneys collectively have experience in nearly every area of law and will work together to ensure all areas of your case are met with the appropriate knowledge. When Is Probate Necessary in Cook County? Tinley Park probate lawyer Kevin O'Flaherty describes when probate is necessary in Cook County, Illinois. Our Tinley Park probate attorneys explains what probate is and when it is necessary in Illinois. 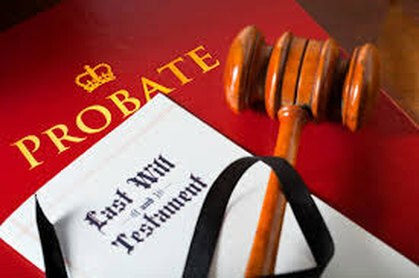 Probate is a court case in which the court oversees the administration of a deceased person's estate, and the distribution of his or her assets to heirs and creditors. Probate is generally required in Illinois if the deceased individual (known as the "decedent") owned real estate outside of a trust or more than $100,000.00 of non-real estate assets outside of a trust or payable on death accounts. If probate is not necessary, the estate may be administered by the executor or trustee preparing a Small Estate Affidavit. Read the full article by our Tinley Park probate attorneys explaining when probate is required in Illinois. What is the Difference between Independent Administration and Supervised Administration of a Probate Estate? 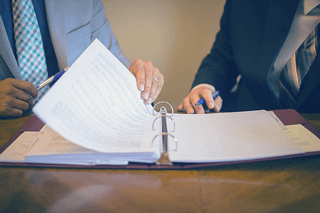 Read an article from our Tinley Park probate attorneys about the difference between independent administration and supervised administration of probate estates. Tinley Park estate attorney Kevin O'Flaherty explains the difference between supervised administration and independent administration of probate estates. What Happens When Minors Inherit Property in Cook County? Tinley Park probate attorney Kevin O'Flaherty explains what happens when minors inherit property in Cook County. We explain how routs appoint a guardian of the estate if the decedent dies intestate, and the difference between minors inheriting through a will and through a trust. Read the full article by our Tinley Park probate lawyers about minors inheriting property in Illinois.